Over time hardwood floors can take a beating, they experience everything from high traffic to spills that leave permanent stains, as well as noticeable cracks, splinters, and maybe even gaps and loose nails. However, strategies like sanding can restore their beauty and keep anyone who walks on them protected. Taunton Floor Refinishing has the skill and experience to bring your old wood floors back to life. Our sanding process will return their appearance to their original glow, keep them safe from pests, and help maintain their value and strength. We are the best floor-sanding contractors in Taunton and we have saved many hardwood floors with our great sanding service. If you have hardwood floors that are showing damages, scuffs, warped wood spots or other imperfections, we can handle this for you with our superior sanding services. There may be areas of your hardwood floors that receive more traffic than others and their unsightly state may be an eyesore that is ruining the effect of a beautiful room. But you don’t have to have an entire floor removed and replaced. Our flooring professionals can work miracles and return your flooring to the gorgeous sight you envisioned. We take great care when sanding hardwood because we realize that imperfections can remain if they are not treated properly. With this in mind, we evaluate every job to ensure that you received the highest level of workmanship. Wood floors can generally withstand sanding about six to eight times during the course of their lifetime. Our flooring specialists can provide an appraisal to help you determine the type of care they need to bring them back to life. We have various modern methods to ensure that you are making the right decision. For instance, with our help, we can tell you if your floors have been properly sealed when they were initially installed and if moisture has created any damage. Issues like warping, swelling of the wood, and noticeable gaps are some telltale signs that it may be necessary to reseal your floor and that sanding and refinishing is in order. Taunton Floor Refinishing has been a leader in the industry for years, and we have a longtime presence on the South Shore. Our flooring professionals are reliable and trustworthy, and they provide you with honest feedback that saves you time and money. We pride ourselves on our superior reputation and our ability to educate our clients about appropriate methods for treating damaged hardwood flooring. Not all hardwood wears the same and some require sanding while other boards may need replacement. This is why we provide a full detailed health report for your flooring so that you can make an educated decision on your next steps. Furthermore, our contractors are fully bonded and insured to provide you with quality service. 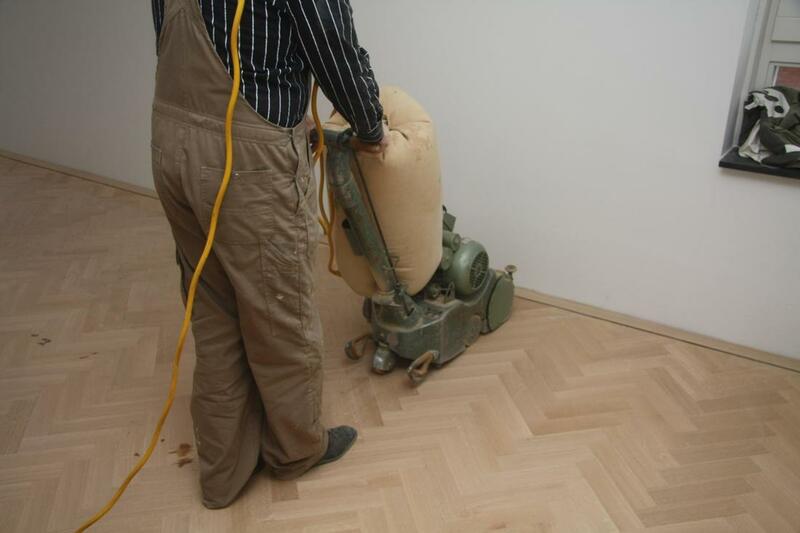 Sanding floors is delicate work and with this in mind, we take great care to use methods and professional equipment that ensures your floors are consistent in appearance.